Find out how Asternic Call Center Stats works for you. 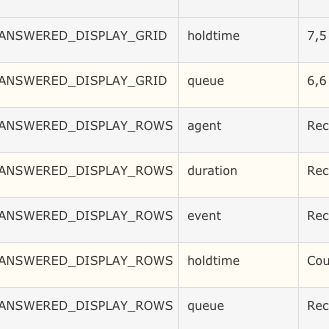 Asternic Call Center Stats will let you run reports over your Asterisk PBX queue activity, like how many calls were abandoned, how many answered, by whom, call durations, wait times, call distribution per day, week, month, hour, queue, day of week, agent session times, pause durations, etc. 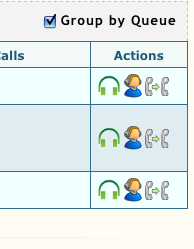 Includes a search facility, a realtime view where you can also pause/unapuse or remove members from queues, integration with recordings so you can download/listen to queue call recordings. All from your web browser, without the need to install anything on the client side. Since version 2.0 includes a report designer that lets you tweak columns and formulas and a REST interface to get data for your own applications. 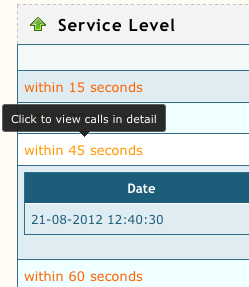 While browsing grids you will see queue events and detailed information about each step in a queue call flow. Some of the fields vary in meaning depending on the event involved. 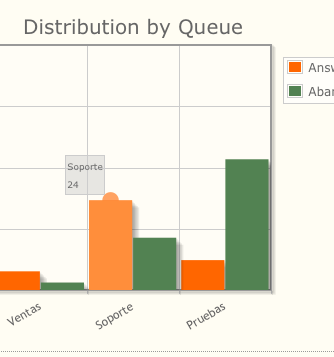 We added inline help to these reports so you can understand the data in an easier way. Just place the mouse over those fields and a tooltip will appear explaining each one. Are you looking for a specific call? 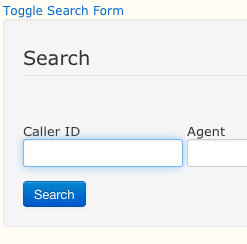 A search form will show a quick result from your query. 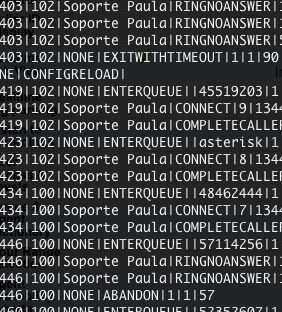 You can search by CallerId, Agent, Queue, Call Duration, unique id and Date Ranges. Each grid shown has its own export icon that will let you download the viewed information in PDF file or CSV (comma separated values) for Excel compatible spreadsheets. PDF files are colorfull for better understanding. CSV files allows to work with cells and perform any calculation you want. The results grouped in each grid can be viewed in details just clicking into its linked item. 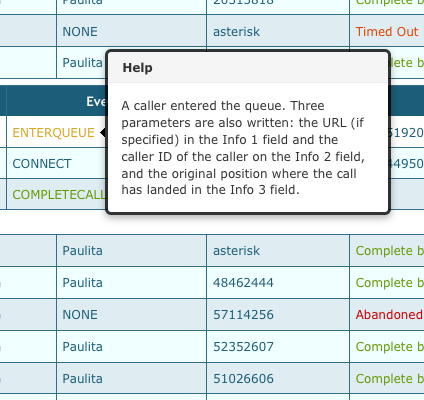 A drill-down grid will appear showing the calls in details with Asterisk Events and other relevant information like caller-id, agent, timing information, etc. 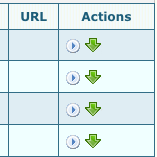 User management tool allows to create, modify or delete as many users as you need. 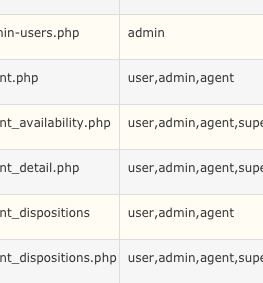 You can assign different roles to each user and define which queue or agent can be audited per role or even per user. 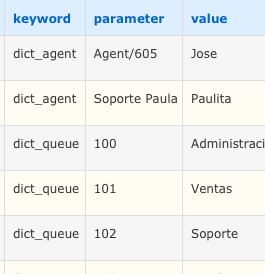 As any Queue is numbered in Asterisk and Agents are also defined with its device or channel we created a dictionary. The dictionary tool will allow you to see the customized friendly name for each one. 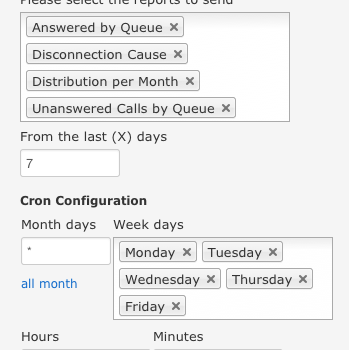 A new tool allows you to select multiple reports and send them via email in specific days and hours. Includes an notification tool that will inform to the given email/s when a specified variable inside a report has been exceeded a given value. 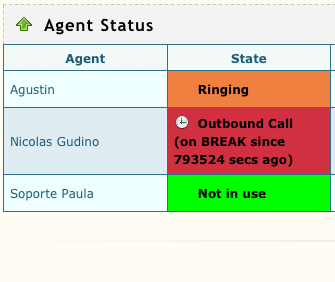 The Realtime dashboard shows agent activity, calls waiting, timers, etc. 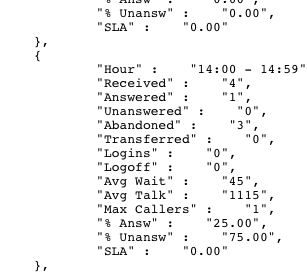 There is also a summary table with calls offered/answered for that day. As a manager, you can SPY (or listen to) the calls in progress. Also you can Coach your Agent using whisper method during the call. Another action will let you steal the call from an agent. It is also possible to pause/unapuse or remove members from a queue. A REST API is available for your developer leisure. 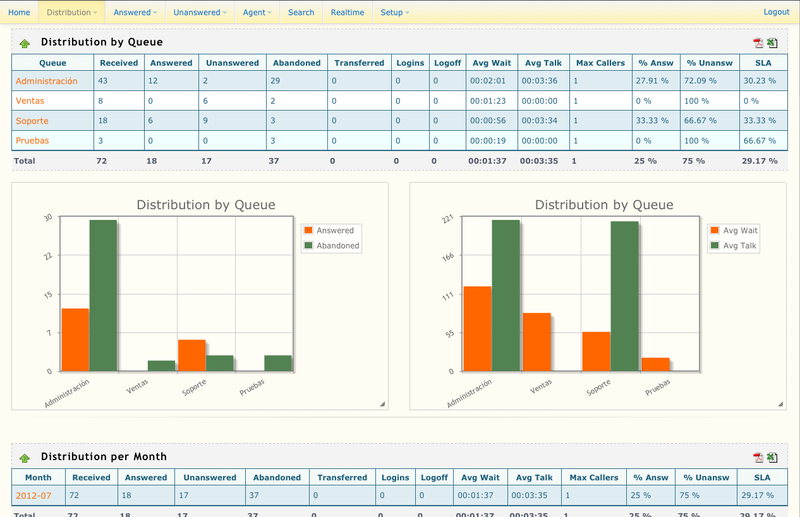 Make your own reports and presentation, extracting data with simple REST requests. 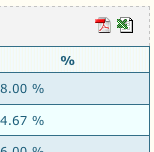 You can customize the reports with your own metrics or formulas. No coding required. Everything from the included web-based setup utility. The software works with all the popular Asterisk distributions. Asternic Call Center Stats PRO has its own access control system. A flexible permission system allows the administrator to assign specific queues or agents to a specific user. It is also possible to limit access to certain reports or actions via the token based ACL system.